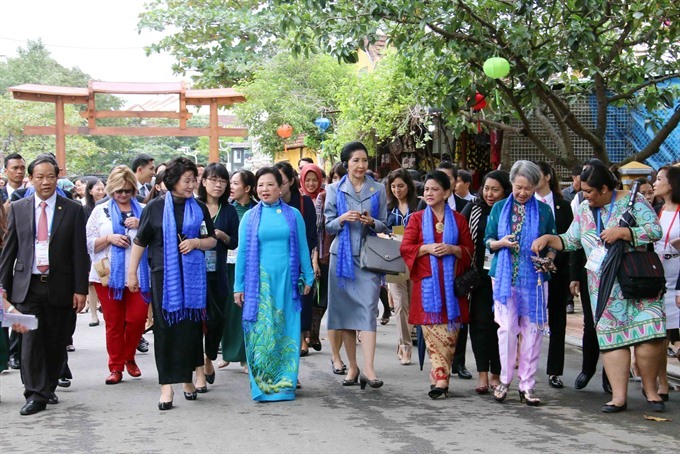 DA NANG -- The wife of the President of Việt Nam, Madam Nguyễn Thị Hiền, hosted spouses of APEC Economic Leaders in the ancient town of Hội An in Quảng Nam Province on Saturday. 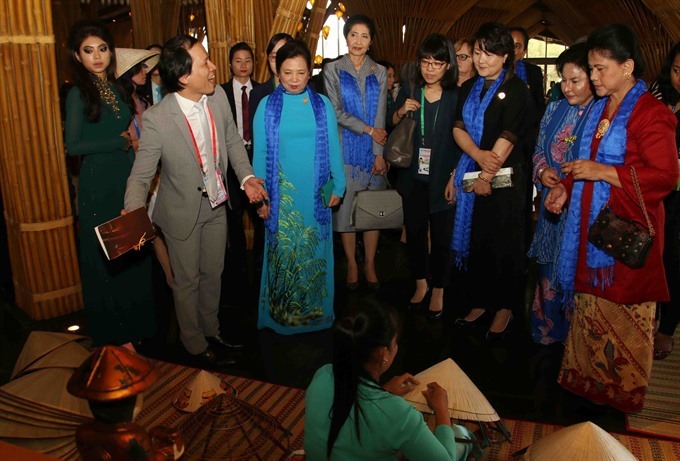 Participating in the programme were spouses of heads of delegations of member economies, including Indonesia, South Korea, Malaysia, Papua New Guinea, Peru, Singapore and Thailand, spouses of ministers and heads of representative offices of APEC economies in Việt Nam. 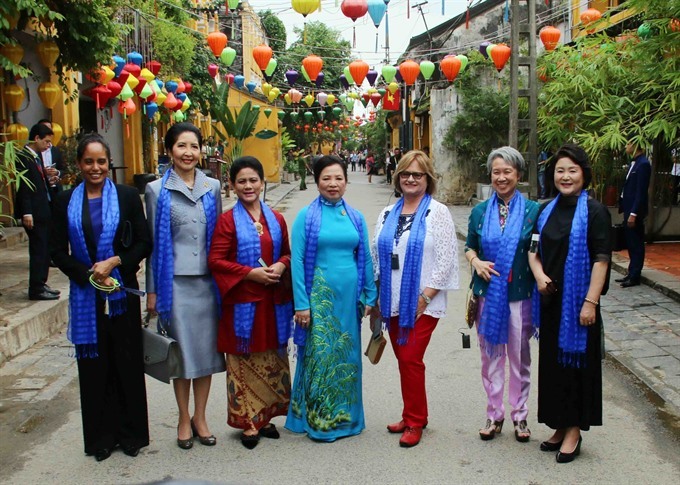 After a warm welcome at the Hoài River Square, the women toured the old town, a UNESCO-recognised world heritage site, and its old quarter. 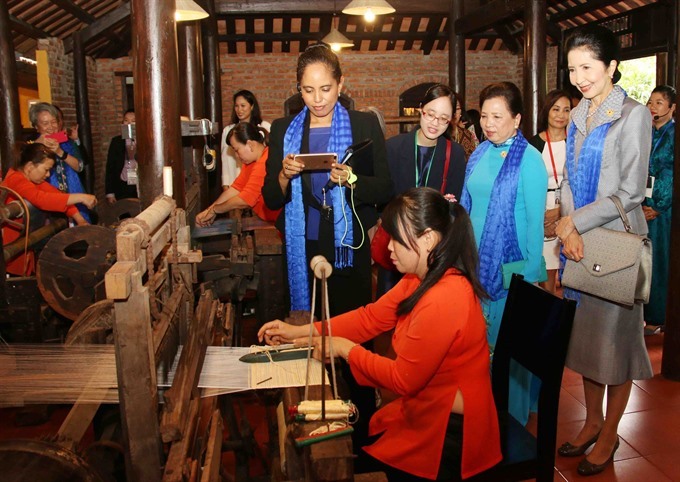 They also visited the Hội An Silk Village, a living museum of traditional handicraft. 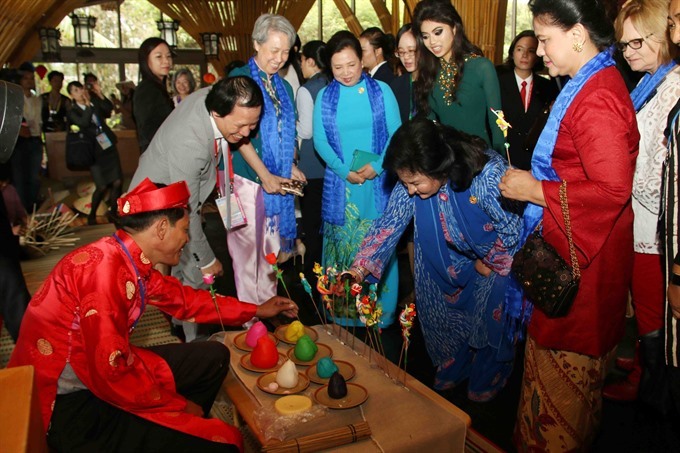 The silk village, one of seven founding members of the Asia Silk Alliance, was voted the third best attraction in Hội An by travel website TripAdvisor in 2014.